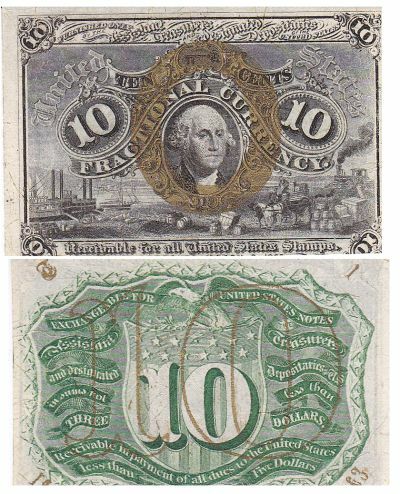 10c. 1st Issue. CU. F-1242. 10c. 2nd Issue. CCU. F-1249. F-1249 Fiber paper with surcharges "T-1-18-63". Rare. The first we've handled! 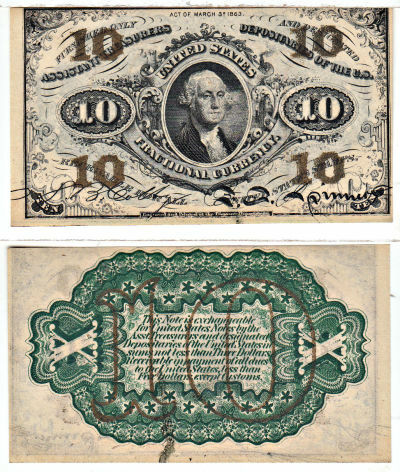 10c. 3rd Issue. CCU. F-1255. 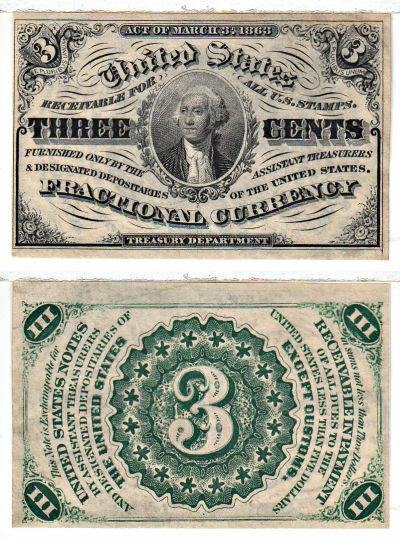 Washington with green reverse. Crisp paper and bright over stamps. 3c. 3rd Issue. CU. F-1226. 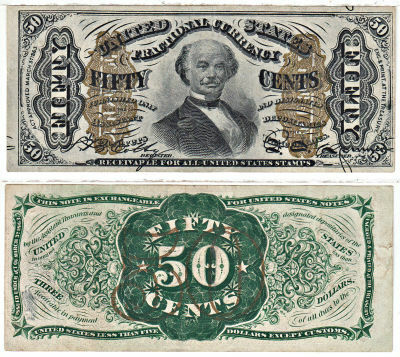 50c. 3rd Issue. CAU. F-1334. F-1334 Spinner, Type 1; design figure "a" on obv. 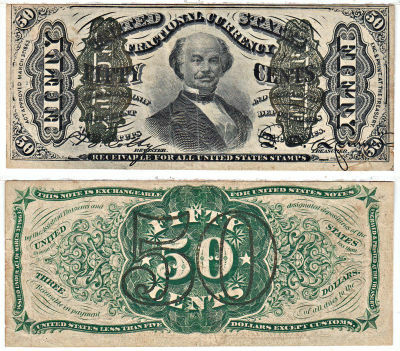 50c. 3rd Issue. CAU. F-1339. Spinner Type 2 reverse w/o design figures, crisp with vibrant colors. 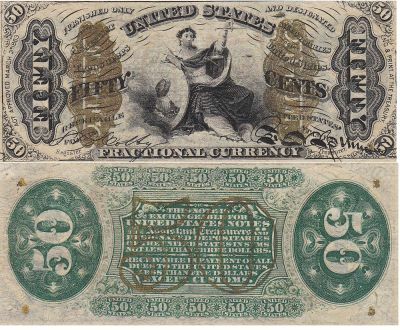 50c. 3rd Issue. CAU. F-1370. F-1370 Justice, Fiber Paper. A beautiful note . Scarce. 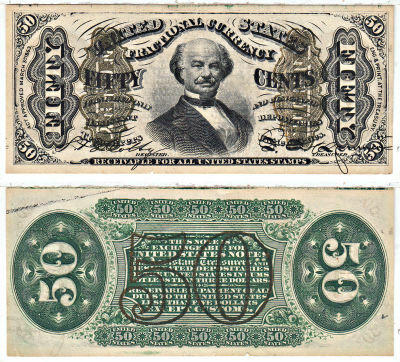 50c. 3rd Issue. CAU. 1339. 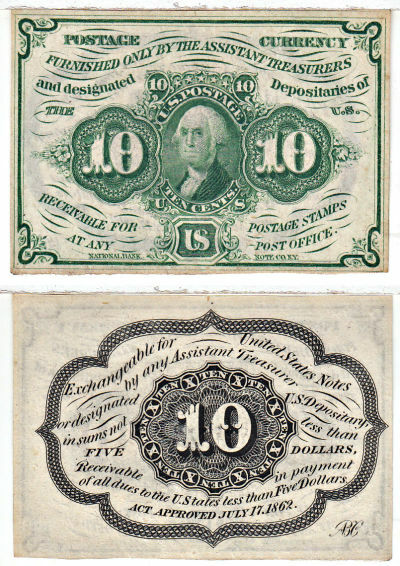 Portrait of Spinner, Type 2, green reverse with no design figures or surcharge. Crisp paper and a bright overprints. 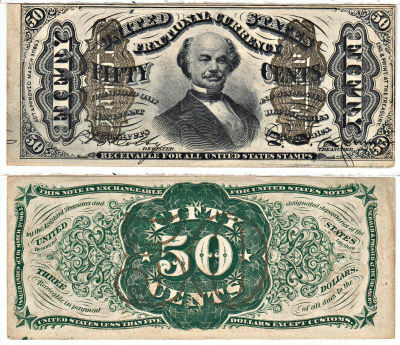 50c. 3rd Issue. XF. 1341. 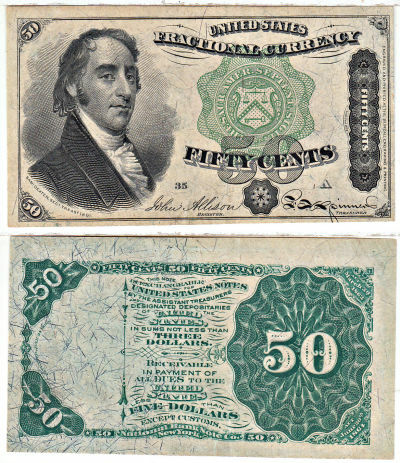 50c. 4th Issue. CCU. F-1379.